Recently, my favorite shampoo and conditioner combo ran dry, and the quickest my trustworthy source -- the digital marketplace behemoth known as Amazon -- could get it to me is next week. 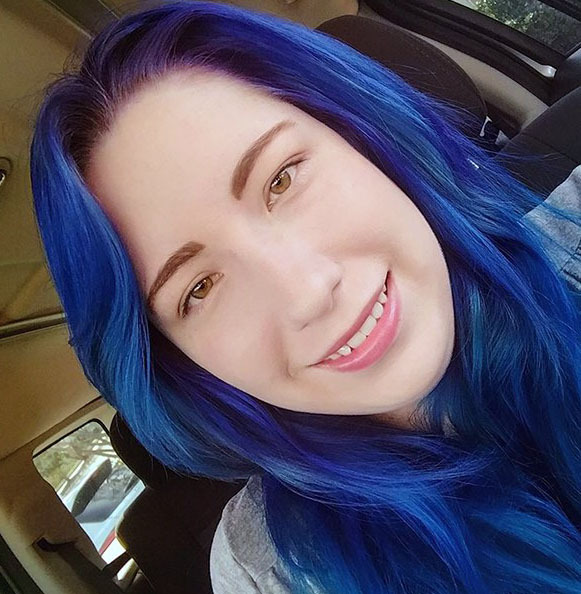 Since the idea of going with unwashed hair for a week and a half makes my skin crawl, I was forced to head to my local grocery store and browse the one aisle I try to avoid at all costs: the beauty aisle. All around me, rows upon rows of floral-scented cleansers stared out, each promising a different feature that sounded perfect for my hair care needs. Price tags scrunched together on the shelves, the numbers pulsing in tandem to my rising heartbeat. It was overwhelming. In a panic, I chose the products that were closest to my ideal budget, (politely) slammed my debit card down, and fled from the store. The result of that harrowing adventure wasn’t pretty -- the conditioner I chose left my hair drier than the Sahara during the rainy season. And while you may not commiserate with my beauty emergency, if you’re a creator in the market for a platform to sell digital downloads, you’ve likely experienced the same marketing overload in your pursuit. Desperate to be done with the search, you chose the first option that seemed to tick enough of your business boxes, committed your funds, and put your products on the market. Which is where this article comes in. To cut down on the clutter, we’ve reviewed five -- Podia included -- platforms for selling digital products, so whether this is your second time to shop or your first, you can get a clear lay of the land for choosing an ecommerce suite. Of course, before we delve into our results, we should talk about what we measured and why. From the customer’s side, downloading a digital product is generally pretty painless. Digital downloads take out the friction of shipping and account creation (or they can, when they’re designed well), which makes the checkout process as easy as entering payment information and landing on a page with your purchase ready to download. Unfortunately, that painlessness tends to be one-sided. For merchants who sell digital downloads, navigating through platforms and plugins can feel more like playing hopscotch on a floor made out of stale taco shells. Everywhere you land, something breaks, and if you’re especially unlucky, it’s something pointy. 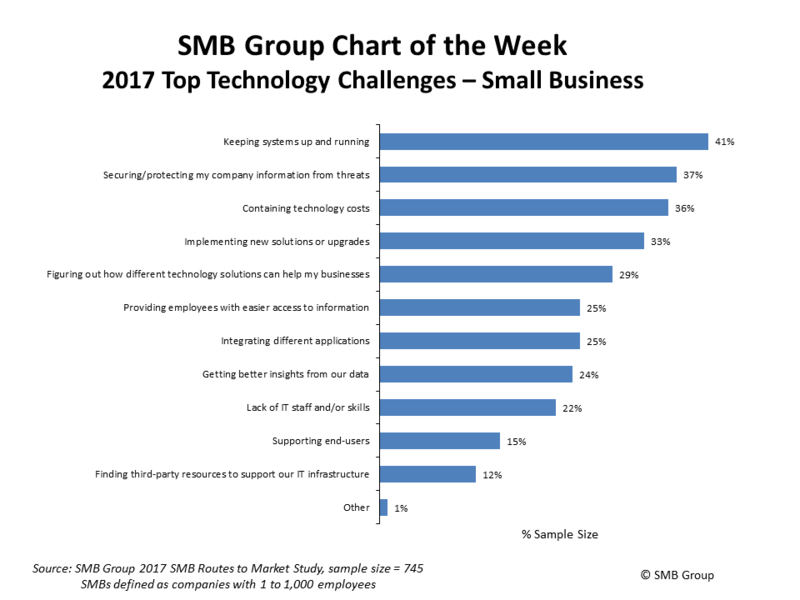 41% of small businesses identify simple maintenance of the products that keep their business running as the greatest hurdle with technology. That’s not talking about upgrades or integrations. That’s the day-to-day function of products that for people who sell digital goods -- things like online courses and digital downloads -- are the difference between a thriving business or closing the shutters. Which is why it’s so pivotal that the platform you use for selling your products is the right one for you. To make that a little easier, we’ve come up with six metrics to evaluate platforms on. Ease of entry. How quickly can you set up shop and start selling your digital downloads? Is it something you can do on a lunch break, or is it an all-nighter kind of project? Functionality. Does the platform let you do more than sell one type of file or product? Are there limits on what you can sell? Support. If something goes wrong with one of your customers, does your platform have your back -- or will you wait a week to get a canned answer from a support agent? Marketing. You can’t sell a product if you can’t market it. How well does the platform support your marketing efforts? Does it integrate with tools or provide you with resources? Fees. When you make a sale, do you get to keep that sale, or does a portion of it go to the platform’s pockets? How many fees can you expect on a per-sale basis? Price. While this might seem like a redundant category, price point and fees are rarely exclusive in digital platforms. In addition to or instead of fees, how much does the platform cost you on a regular basis? 49% of small business owners do all of their marketing themselves. If it’s something that half of all users do -- and do it alone -- then shouldn’t a platform enable its customers to succeed with all of the resources required, including the ability to measure the effectiveness of that marketing? After all, 46.8% of the same group of business owners say they don’t know if their marketing succeeds or not. So marketing, especially for digital product creators, isn’t a “nice to have” feature for a digital download platform. It’s a necessity. Now, with our metrics in hand, let’s check out your options. Firmly ranked in as the second most popular hosted solution in the US, Shopify is an ecommerce giant. You practically can’t find a keyword they don’t rank for when it comes to selling online, and there’s a good reason for it. Just over the Black Friday and Cyber Monday weekend, merchants generated a little under $900,000 collectively per minute at their peak. It was built for physical products first, so if you want to offer physical wares on top of your digital products, you’ve got a great system to work with -- for your physical inventory, anyway. Shopify integrates with hundreds of plugins and applications from their app store, though many of them come with monthly fees. Still, flexibility is a major plus for this platform. Comparable to WordPress, Shopify boasts 100+ professionally designed themes -- many at a one-time fee, while others are free -- to create a beautiful website in minutes. Because it was built for physical products first, it lacks many of the features that you would expect to find with a digital product -- like access management -- without some seriously advanced (and unsupported) technical know-how. If you don’t use Shopify’s proprietary payment system, you can expect to pay a 2% transaction fee for every sale. Sending emails from your custom domain is complicated. Shopify doesn’t support email marketing natively, so if you want to use drip campaigns, you’ll have to use a third-party program with email forwarding -- and that’s its simplest workaround. OK, but what about the individual features? Let’s find out. Ease of entry: 2.5 out of 5. With a no-obligation and fully-featured two-week trial, we like Shopify’s style, and it was built to provide the most basic functionality as quickly as possible even if you’ve never set foot in ecommerce before. However, that’s only true for physical products -- if you want to sell digital goods, you’ll need their digital downloads app, and the process for creating a buyable product involves a lot more steps. Functionality: 2.5 out of 5. File types and sizes are limited for Shopify customers. You can’t upload files larger than 5 GB, and you have to upload them in .zip archives if you want to pair multiple files to one product. Support: 1.0 out of 5. Speaking strictly for the digital downloads app, the reviews are rife with complaints about glitches and long wait times. Can you afford to leave a customer hanging for a week while you wait to get an answer that may or may not help? Marketing: 5.0 out of 5. There’s one thing Shopify does better than the rest of the class, and it’s marketing. In addition to their integrations, Shopify provides attractive analytics on their dashboard as well as the ability to create Facebook and Google Smart Shopping campaigns. Fees: 3.0 out of 5. 2% isn’t the worst transaction fee we’ve ever seen, and there are no listing fees associated with adding products to your store. Price: $29 - $299 monthly. Although Shopify Lite starts at $9, features are severely limited. For most creators, the basic plan at $29 will provide all of the functionality needed. Is Shopify a great ecommerce platform? Absolutely. Are they a great platform for digital downloads? Not really. Still, if you want to mix and match your products and offer customers digital as well as physical products, Shopify can definitely be an excellent solution for you. While Shopify claims its roost as the ecommerce solution for megastores, Etsy owes its steady growth through the years as the platform of choice for artists. If you want a one-of-a-kind gift for someone, there’s no better marketplace than Etsy. Regrettably, its specialization doesn’t translate seamlessly for digital product creators, and its increased popularity has led to extreme market saturation. Etsy has 47 million unique monthly visitors in the US alone, which means whether you market your products or not, you’re getting trickled-down traffic just by putting your product up for sale. Etsy is a well-known online brand and marketplace. Associating your business, even if it’s brand new, with a name like Etsy affords you a small -- but important -- boost in trust when consumers find your products. Its primary consumer demographic is made up of women below the age of 34, and it's the most pinned website on Pinterest, so if your target customers frequent either criteria, you're well-positioned to reach them through this marketplace. The cons are almost a reverse of the pros. Because it is such a popular site, competition is ample, and there are few product categories where someone else hasn’t already claimed the niche. If you’re not willing to upgrade and tack on a monthly fee for Etsy Plus, you have limited branding options for customizing your storefront. Using your own domain for your storefront, which is not covered in the previously mentioned Etsy Plus, tacks on yet more monthly fees. Ease of entry: 3.5 out of 5. 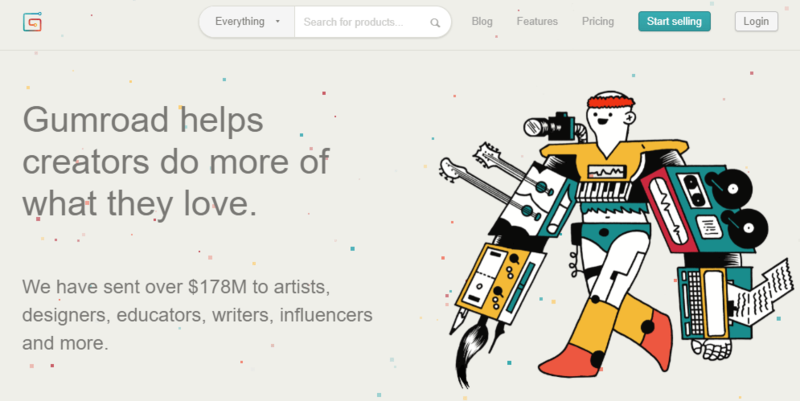 Etsy is well-designed for first-time sellers and you can have a store running in minutes. Unfortunately, the storefront is built for physical goods, and there’s no opportunity to add all-too-critical copy to your products on the storefront to entice users to click. Support: 3.0 out of 5. On the one hand, they have a vibrant community forum that can theoretically offer peer-based help at any time. On the other hand, their official support channel is limited to opening an email ticket or looking through their help documentation. Marketing: 2.5 out of 5. Because it’s a digital marketplace, Etsy offers creators built-in traffic for their products when they list them for sale. It also provides decently robust analytics for store-owners. That said, the majority of its marketing features are exclusively paid advertising, which makes this a poor platform for marketing on a budget. Fees: 1.0 out of 5. There’s no shortage of fees for selling items on Etsy. Thanks to listing fees, 5% transaction fees, currency conversion fees, and payment processor fees, the difference between what your products sell for and the payout you receive can be significant. In the interest of honesty, you can lower your transaction fees if you use Etsy’s proprietary payment processing system, but there are varying restrictions and a holding periods involved with signing up. Price: “Free.” If you choose to, you can sell through Etsy without ever making a payment prior to your first transaction, which could be considered a plus if you find the excessive fees tolerable. So, ultimately, should you sell on Etsy? It depends on many of the same factors for determining if Shopify is right for you. If you want to sell custom-made goods in addition to your digital products, Etsy may be perfect for you. If, however, digital wares make up most of your inventory, it’s not ideal. Now, let’s switch gears and look at some options that are specifically for digital downloads. If a ‘breeze’ means cobbling together multiple other plugins (probably at a fee), a long-winded checkout process, and making sure EDD is compatible with your website, then it’s a regular day in the tropics. If that doesn’t sound like a breeze to you, however, here’s what you need to know. It was designed to sell digital downloads, so it provides many of the features you’d expect -- including access management and customer records. You can create a shopping cart for your customers (though be wary of forcing account creation, it’s a cart killer for digital downloads) or use a buy now button. The base plugin is free. You could conceivably start selling your products without paying a dime. If you want to use a payment gateway other than PayPal, it’s going to cost you. For instance, adding Stripe costs $200 with the extended pass. Likewise, adding third-party integrations to common marketing applications -- like MailChimp -- can run you anywhere from $49 to $99. Support is limited to help documentation and opening a ticket. While the documentation is extensive, can your business afford for you to go on a literary treasure hunt when your customers aren’t getting their products? Ease of entry: 3.0 out of 5. Going off of the assumption that you’re familiar with WordPress and navigating its plugins, EDD isn’t the steepest learning curve out there, and that earns it a respectable middling score. If you’re brand new to managing plugins, on the other hand, this score may be closer to a 1.0 out of 5. EDD isn’t the most “creator friendly” option out there. Functionality: 2.5 out of 5. File types are decently flexible with EDD -- they have to fall into compliance with WordPress file types -- but while there’s no limit on file size, the fact that you have to host those files on your own plan puts a serious damper on your scalability. Support: 2.5 out of 5. In addition to no live chat, if you want to get at the top of the customer service backlog, you have to pay for priority support. In part, it’s understandable -- they have a lot of free users -- but nickel-and-diming small businesses when they need help the most isn’t our favorite revenue strategy. It probably won’t be yours, either. Marketing: 2.0 out of 5. If you’ve noticed a theme in this feature review so far, you’re probably already braced for this: the first-tier paid plan for EDD only provides support for email marketing integrations, and adding Zapier to overcome it will bulk up your fees. Fees: 1.0 out of 5. Sure, there are no transaction fees, but with every multi-hundred dollar purchase you’ll need to make to stitch together a digital business, EDD gets a hard downgrade on this metric. Price: “Free.” Disregarding the fees, you can actually use EDD for free if you’re willing to work within its many limitations, and that does put it at a distinct advantage on this list. So who does EDD work best for? Creators who have a lot of technical know-how will benefit from its integration with many WordPress themes, and those who want to cut out on recurring expenses will enjoy it as well since all of its licenses are purchased on an annual basis. It isn’t ideal for anyone who wants to sell more than digital downloads, but for those who want to stay in that lane (and only that lane) for the foreseeable future, it’s worth a try. ‍Gumroad is a platform that seems to do it all, and boasts a not-insignificant track record of sending over $178 million back to its customers. Offering a marketplace feature, this ecommerce suite is geared for the creator who wants to stop, drop, and sell. But while its attractive introductory prices may make it an ideal choice for getting your feet wet without devoting income, its integrations are limited, and your ability to scale is marred with seemingly unending fees. Fees notwithstanding, Gumroad has a free tier and an appetizingly-priced professional tier, which makes it great for creators starting their business without a budget. Payment processors are relatively flexible and give customers a variety of options for paying you, including PayPal and major credit cards. You can sell physical products from Gumroad, which provides opportunities for creators who want to sell physical merchandise (such as print copies) alongside their creative works. Unfortunately, its fees makes it inhospitable for scaling your business over time, and your budget is more likely to stay where it started -- at zero -- than expand. Payouts are handled weekly and have a minimum threshold. They’re your products and customers, so having to play a shell game with the platform to get your well-earned dues may not sit well with you. While you can sell physical products, Gumroad suffers similar issues as what you see with Shopify and Etsy. It wasn’t built for that purpose, and it has very few integrations -- like shipping platforms -- to facilitate a smoother physical commerce experience. Ease of entry: 4.0 out of 5. If you want to hit the ground running without spending too much time setting up your site, Gumroad has you covered. Unfortunately, that also comes at the expense of branding customizations, which costs it a point in this category. Functionality: 4.5 out of 5. Accepting all file types, Gumroad has nearly perfect functionality, and only loses half a point because of its file size limit of 16 GB. While this limit could be imposing for video files, it’s reasonably large enough to provide for most creators. Support: 2.5 out of 5. If you need to contact Gumroad in a hurry, you may find yourself in a bind. Support is limited to an email contact form and help documentation (which, at the time of this writing, features several 404 pages -- yikes). Marketing: 3.0 out of 5. Gumroad’s “Discover” feature allows you to reach more customers -- at a fee, see below -- which gives it a strong start for marketing opportunities, but its lack of integrations with well-known marketing tools, like MailChimp, costs it. Fees: 1.0 out of 5. The platform’s seemingly dazzling monthly price is severely undercut by its fees. Combined with payment processor fees, you’ll pay anywhere from 8.5% + $0.30 USD per transaction to 3.5% + $0.30 per sale. Price: “Free.” In the same vein as the other “free” options on this list, what you don’t pay on a monthly basis is taken directly out of your transactions, with potentially as much as 18.5% of your sale going to the platform if you make a sale with its “Discover” tool. That said, while it has flaws, Gumroad does work well for certain types of creators. If you’re primarily interested in building an audience and don’t need more business-ready features, its rock-bottom entry price and fees are tenable. If, however, you want a business that can scale with you, then you may want to consider the last option on this list. Being impartial about the place where you work isn’t entirely possible, but we’ve talked a lot about the value of transparency, so with that in mind, let’s cover the pros and cons of selling digital downloads on Podia. A simple, no-fuss user interface that makes it easy to get up and running without any technical know-how. Integrations with several marketing suites -- at no additional cost -- like MailChimp, ConvertKit, and ActiveCampaign. Built-in email marketing services, including the ability to create drip campaigns and automatic emails based on user behavior (such as after a purchase). Limited customization. Our new embedded buttons feature enables creators who like to code to put our seamless checkout process onto the page of their choosing, but our starting package isn’t designed for people who like to root around in code. No free plan. While we offer a free two-week trial so you can get started at not risk, our current model doesn’t provide any long-term free solution. While we do include built-in email marketing, it’s relatively limited compared to what you’d find with a service like Drip (luckily, we integrate with them, too). How about on the features side? Ease of entry: 4.0 out of 5. While our onboarding isn’t perfect, uploading and putting a digital download up for sale can take as little as five minutes -- I’ve timed it. Functionality: 5.0 out of 5. There’s no limit on file type or size with us, and if you want to attach multiple file formats to a single product, be our guest. Support: 4.5 out of 5. I’m docking us half a point because our support staff claims they periodically need to sleep, but whether it’s by email or live chat, we’re here for you 24/7, and our usual support turnaround is 24 hours or less. Don’t believe me? Say hello and see for yourself. Marketing: 3.0 out of 5. We’ve made great strides with marketing features for our creators like the embedded buttons and Podia Editor, but we’re still growing. We get extra points for integrating with the major email marketing platforms and endless third-party apps that can up your marketing game, though. Fees: 5.0 out of 5. I could wax poetic about this score, but it’s pretty simple -- there are no fees or upcharges on our side. What you see with your monthly or annual price is what you get. Price: $39-$79 monthly. That’s it. Is Podia perfect for everyone? As much as the marketer in me wants to say yes, the reality is that no product is a perfect fit for every customer. If you’d rather dig in deep to the weeds of running a business and manage the technical aspects of your site yourself, an option like EDD is probably a better fit. Likewise, if you want to sell physical products in combination with digital products, we weren’t designed for that and Shopify is likely the better choice. If you don’t fall into either of those two categories, however, then Podia is for you, and launching your digital product on Podia is so easy it can be done in just four steps. Nice, right? Managing the technology behind their business is a problem that plagues every small business owner, and for someone who produces digital products exclusively, the problems only compound. If the platform doesn’t offer marketing support -- a task that 49% of small business owners do entirely by themselves -- then it’s not supporting your business, plain and simple. Other important features to consider include ease of entry, functionality, and customer support. But perhaps the most important feature to evaluate a platform on is its fees. Transaction fees and feature fees can add up quickly and hurt your bottom line, so when you’re measuring price -- especially if it’s “free” -- be sure to do the math with fees. As far as your options go, Shopify is great if your inventory is primarily physical. If you’re trying to sell digital downloads, on the other hand, it wasn’t designed for that, and it shows. Etsy has a similar problem as Shopify -- it’s meant for physical goods -- but it’s well-geared if your products are custom-made for customers or one-of-a-kind. EDD is another popular solution for selling digital products, especially if you’re working off of a WordPress site. But while this plugin may be free to add, the functionality severely suffers if you aren’t willing to buck up for its extensions and upgrades. Gumroad is great for building an audience without spending a lot of money, but its fees cripple creators’ ability to scale, and customizations are limited. Podia is a platform that gives you many of the same perks as EDD and Gumroad without any of their drawbacks or fees. You pay a flat monthly rate for unlimited hosting and file types. Finding the best fit for your business is, as ever, dependent on your goals, products, and niche. While no guide or article post can make that decision for you, knowing the features to look out for should go a long way to narrowing down your options. Good hunting!